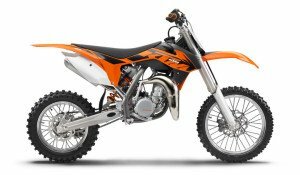 KTM went above and beyond with their changes to the 85 SX. The engine has been redesigned and delivers great power through out the RPM range. The cylinder is a 47mm bore to achieve much better cylinder charging, and with the newly designed exhaust valve it produces a very broad power band.